"Jackie and Kelley strive to be on the cutting edge of current research, methodologies and practical instruction..."
Drops with full refund are allowed within the same day of signing up for any beginning course. You must call the office at 503 786 6250 or email swimbabesportland@gmail.com that same day to have your refund processed. Drops with full refund are allowed for Beginning Courses- 30 days or more prior to the start date of the course. Drops 15-29 days prior to start date of the course or session may be credited to your SWIMBABES™ account less a $25.00 per class space non refundable hold fee for SynchroBabies, Tots or BWA and a $50.00 non refundable hold fee for any Beginning Survival Course. Your remaining credit will be good for 1 year on your SWIMBABES account. 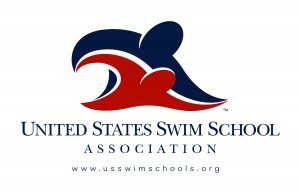 If you choose to take a refund of the balance instead of a credit on your SWIMBABES account, a $20.00 processing fee will be charged. Drops with 14 days or less prior to the start date of the course or session cannot be credited or refunded. No refunds or credits will be given if you drop your child during a Beginning Course or a Basic Water Safety, SynchroBabies™ or SynchroTots™ session for any reason. Payment of a beginning course is agreement to abide by the above policies. Drop notice must be sent via email and a response received in order for the drop to be processed. We do not accept drop notices by phone or at the front desk. 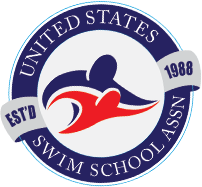 A copy of the Perpetual Weekly Group Class Agreement is available via email at swimbabesportland@gmail.com to all students who have been invited by their instructor into our Perpetual Weekly Class Program. No make ups, credits or refunds for missed classes. Occasionally SWIMBABES™has to cancel classes due to inclement weather or facility maintenance. If SWIMBABES™cancels classes for 2 hours or less on a given lesson day, a gift class will be offered to those classes affected to be scheduled into another class. You may schedule the gift class at your convenience through the front desk. If SWIMBABES™closes for more than 2 hours on a given day, we will offer a class make up day. If you cannot participate in the make up day, you will be given a gift class on file to schedule at a later time as long as we have 48 hour prior notice that you will miss the make up day. 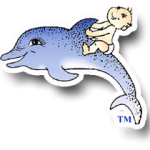 Due to the group nature of SWIMBABES™ classes and child protection issues, photographs, video taping and cell phone photo/video is strictly prohibited on the deck, in dressing rooms or in bathrooms. 1. The first day of a SynchroBabies™, SynchroTots™ or Basic Water session, which are generally your child’s very first exposure to the pool. The instructor will allow a photograph of your child (only your child please) before or after class on the first day of the session. No photos during class are allowed. 2. Blue Ribbon Award Days: The instructor will also allow a photograph when he or she wins a blue ribbon award for turning over and floating independently to the count of 10 and also when they win a 5 minute float award fully clothed. The office will take and print the photo for you along with their award certificate! We encourage you to take your child to play in other pool situations with you; these are perfect opportunities for home videos and photographs of your child. Professional underwater videography is also offered in a private setting a few times a year. Cell phones are not permitted to be in use on the pool deck, in bathrooms or dressing rooms since most videos and photographs are often taken this way. Cell phone use must be done in lobby area and we do ask that cell phone conversations be taken outside of the building in order that our reception area is as quiet as possible for our office assistant to answer phone calls. All children age 3.5 and under (and any age child not fully potty trained day and night for one full year) must wear our required two diapering system in to the pool. There are no exceptions to the age rule or brand rule. If your child is not potty trained, an Iplay Ultimate Snap Swim Diaper must be purchased as the under diaper and a Kushies Swim Diaper or Splash About Swim Diaper as the cover. These are the only brands we allow in our pool. You may buy these at your office appointment or purchase on your own. Should you choose not to buy through us, please bring your diaper and diaper cover to your office appointment so that we may make sure you have the correct diapers. Absolutely no disposable swim diapers or disposable diapers in the pool. (IE little swimmers). To go without a diaper, children must be a min of 3.5 years old and have been dry day and night for a full year. 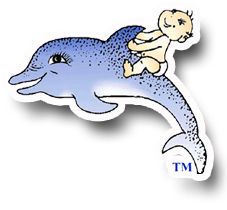 Please note: All BWA, SynchroBabies™, and SynchroTots ™ classes must purchase swim discs and diapers for their class upon their registration for the class. Swim Diaper, Swim Diaper Cover and swim discs are additional fees that are not included in class fees. A one time registration fee per family is charged of $49.95. Please make sure to enroll in the "registration fee" if registering online.